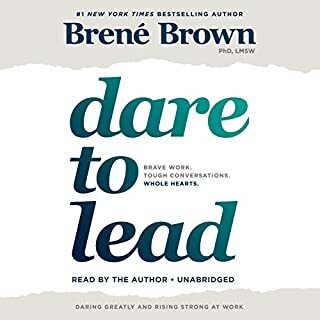 Brené Brown has spent the past two decades studying the emotions and experiences that give meaning to our lives, and the past seven years working with transformative leaders and teams spanning the globe. She found that leaders in organizations ranging from small entrepreneurial startups and family-owned businesses to nonprofits, civic organizations, and Fortune 50 companies all ask the same question: How do you cultivate braver, more daring leaders, and how do you embed the value of courage in your culture? This audiobook answers this question. I`m sorry, I just couldn`t relate with the information. I would find my mind wondering and lost in all of the language that would sometimes become hard to understand and stay on track with. 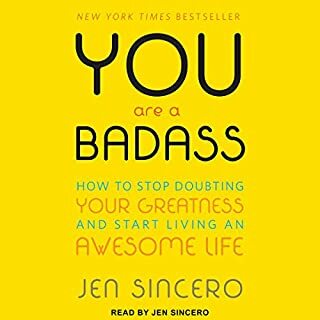 Bestselling author, speaker, and world-traveling success coach Jen Sincero cuts through the din of the self-help genre with her own verbal meat cleaver in You are a Badass: How to Stop Doubting Your Greatness and Start Living an Awesome Life. In this refreshingly blunt how-to guide, Sincero serves up twenty-seven bite-sized chapters full of hilariously inspiring stories, life-changing insights, easy exercises, and the occasional swear word. Best motivational book of 2018!!!!! This book is for anyone and everyone! Well written and to the point.